For the travel industry today, ‘experiential travel’ is the buzz phrase: It’s not just about where you travel anymore, but it’s about the experiences that you soak yourself in. BENGALURU: For the travel industry today, ‘experiential travel’ is the buzz phrase: It’s not just about where you travel anymore, but it’s about the experiences that you soak yourself in. With an increasing number of young travellers looking for unique experiences in their leisure travel, Wandertrails has managed to raise one million dollars in seed funding for from Earlsfield Capital, a UK-based venture capital firm. Wandertrails at present hosts more than 5,000 experiential stays and immersive activities in 65 destinations across 12 states. 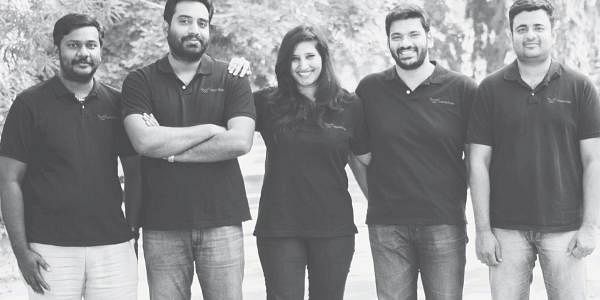 The journey before the wedding of Sruti, co-founder and COO, Wandertrails. Some of the family members of her husband-to-be were visiting Kerala from abroad and they wanted to soak in the culture of the state. None of the travel packages worked out according to their interest and Sruti, an alumnus of IIM--Calcutta reached out to her senior in college Vishnu Menon (Co-founder and CEO), who in turn called up Pranav (co-founder and CSO), who reached out to Ranish (first employee of Wandertrails). Ranish was able to put together a travel plan for the wedding troupe which included a houseboat stay, canoe rides, fishing, watching toddy tapping, interaction with local settlements and participating in paddy harvesting apart from private performances of Kalaripayattu and Kathakali. “The group left with authentic memories of Kerala. Post this, we started to ponder how many people who visit Kerala get to experience the place in real. Not everyone is lucky to know a Ranish to set this up for them right?” said Vishnu. Later, Vishnu, Sruti, Narayan (Vishnu’s brother, Co-founder & CMO), Pranav and Hari (Pranav’s classmate from school, Co-founder and CTO) got together to begin Wandertrails. When you go to the website and get in touch with the team with a query, Wandertrails assigns a brand experience manager to you, who would also be a location specialist to your query. A separate team caters to foreign inbound travellers and handhold them in crafting an itinerary suiting their interests. We have catered to customers from Middle east, UK, France, U.S., Canada etc. to name a few with absolute customer delight,” according to the team.